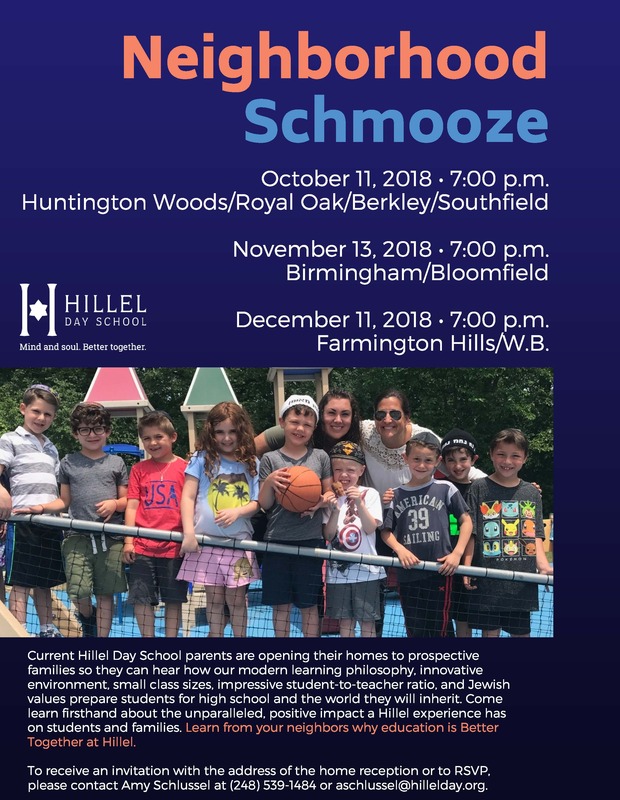 Current Hillel Day School parents are opening their homes to prospective families so they can hear how our modern learning philosophy, innovative environment, small class sizes, impressive student-to-teacher ratio, and Jewish values prepare students for high school and the world they will inherit. Come learn firsthand about the unparalleled, positive impact a Hillel experience has on students and families. Learn from your neighbors why education is Better Together at Hillel. To receive an invitation with the address of the home reception or to RSVP, please contact Amy Schlussel at (248) 539-1484 or aschlussel@hillelday.org.